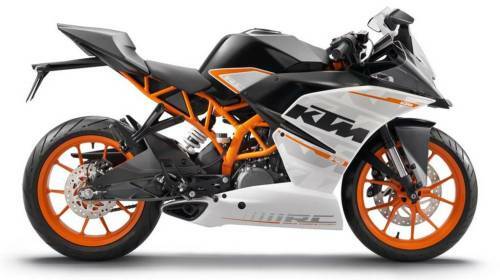 The Austrian Motorcycle maker KTM, seeing its success in the Indian bike market, is all set to launch the new lineup of (race competition RC) bikes in India namely: RC200 and RC390. KTM plans to launch the RC390 first by September 9 followed by the RC200. Few KTM-Bajaj dealerships have already opened pre-launch bookings at Rs 30,000 with a waiting period between 1-3 months for the RC390, which will be priced approximately between 2- 2.4 lakhs(ex showroom). The RC 390 is a razor-sharp fully faired version of the KTM Duke 390, although the RC390 retains the same 373.2cc single-cylinder, liquid cooled engine, which produces 43 BHP of power and 35 Nm of torque, mated to a 6-speed gearbox. There are a few changes on the RC390 namely: a smaller fuel tank, reduced suspension travel, super grip Metzeler tyres, ABS and dual barrel headlamps with DRL’s. When KTM launches the RC390, it may not have any direct rivals to face competition from in the market. But nevertheless, when Yamaha brings the R25 and Honda launches the CBR300R, then the Austrians will face some Japanese competition. 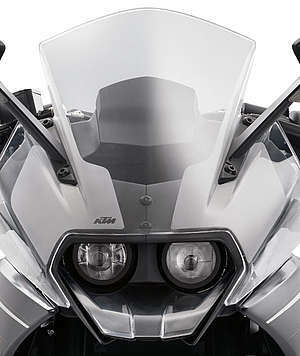 Till then the only rival of the KTM RC390 will be the Kawasaki Ninja 300. 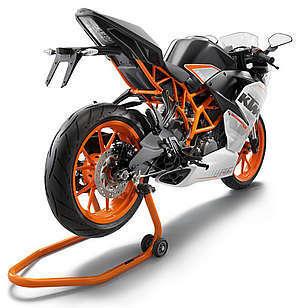 The RC390 is a race track bike, with an aggressively designed riding position. All we can say to those KTM enthusiasts who are eagerly waiting for the RC390- are you ready to race. Why manuals are preferred over automatic transmissions?